Any thrift store or yard sale I’ve ever been to had at least a couple of lamps for sale. They’re often overlooked, because you really only need so many in your home – but if you knew how to repurpose old lamps into something new, you might look at them in a different light. 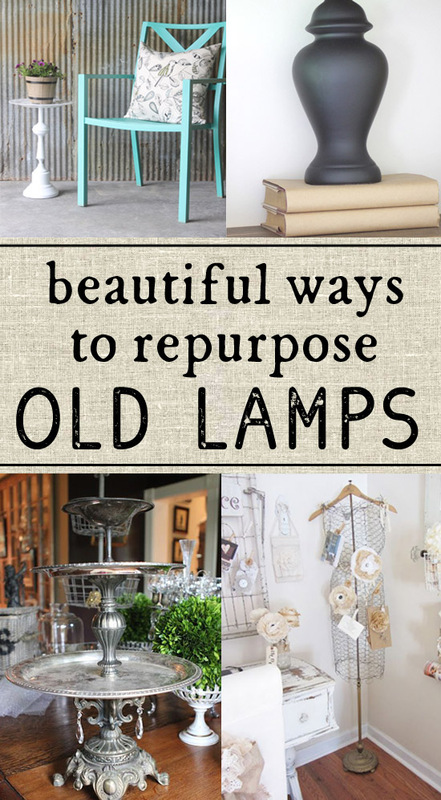 I’ve collected some great ideas to use them both inside and out to give those old lamps a whole new life. Repurpose old lamps into a side table. Repurpose one into a bird bath. 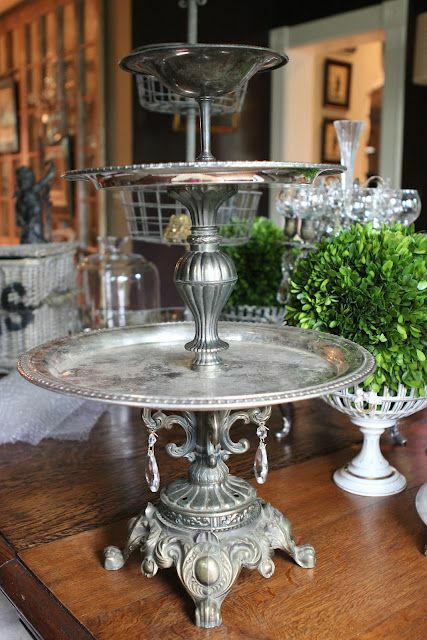 Make a tiered stand from a thrift store lamp and trays. 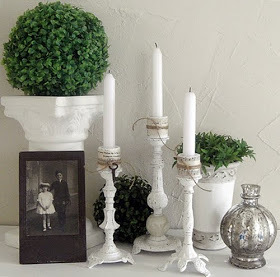 Take the wiring out of old lamps and turn them into candlesticks. Paint a base to turn it into shelf decor. 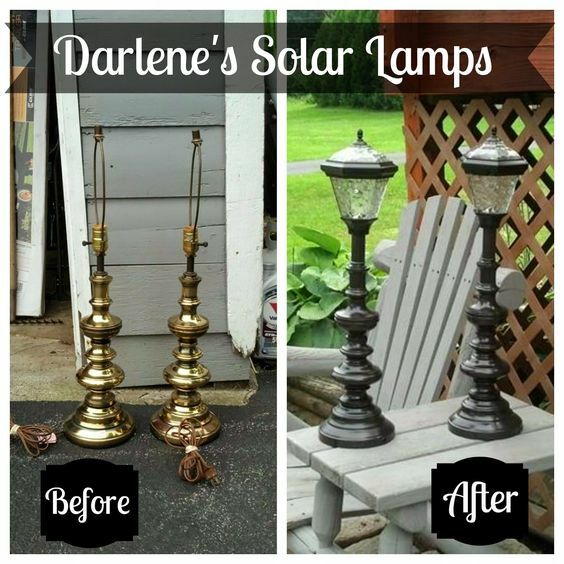 Repurpose old lamps from inside to outdoor solar lights. 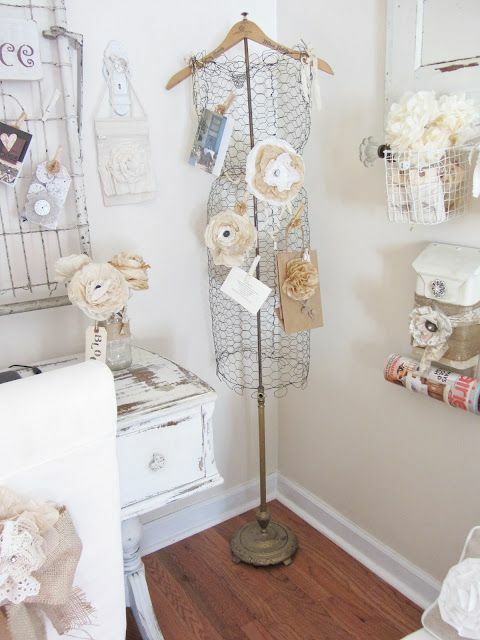 Use some chicken wire to turn an old floor lamp into a dress form. 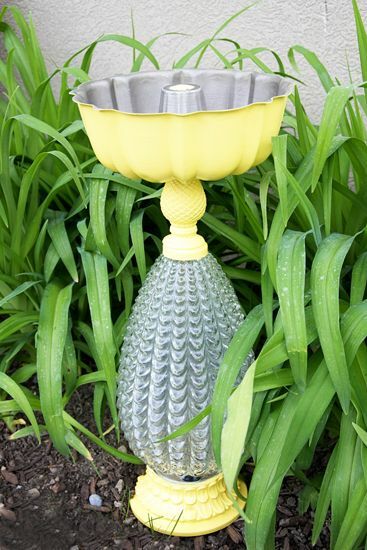 Repurpose some dishes and old lamps into a fountain. 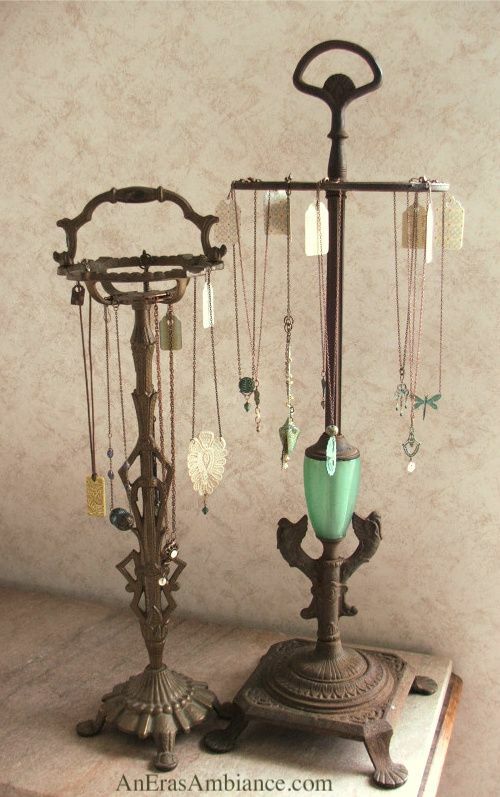 Repurpose old lamps into jewelry displays/storage. 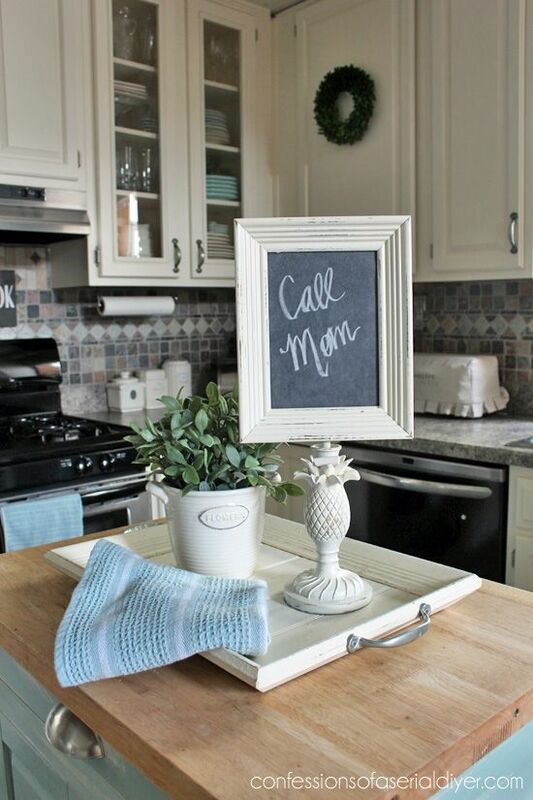 Make a memo board from an old lamp. 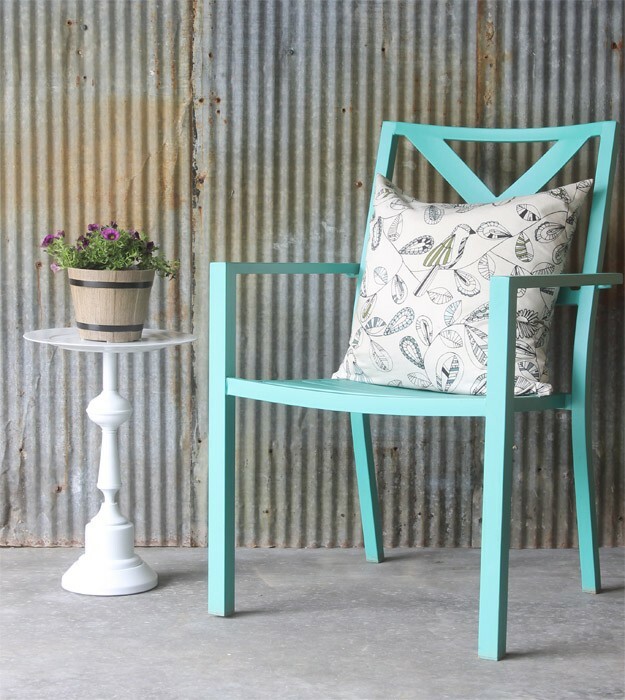 With all of these fun ideas, there’s sure to be one that you’ll love to use in your own home. 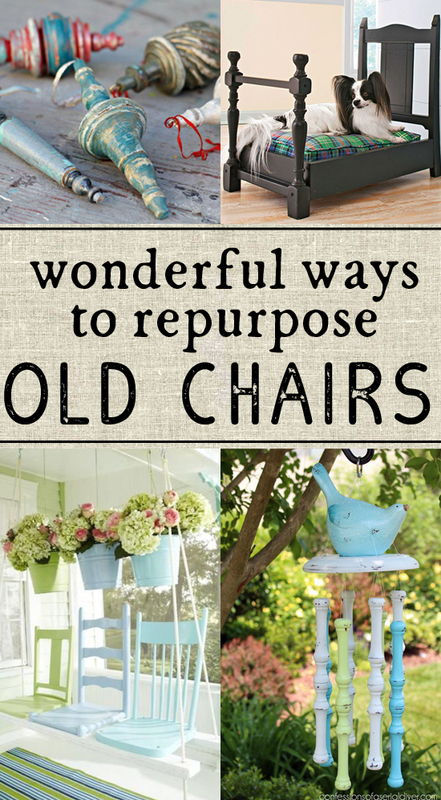 If you enjoyed this post, you might also enjoy my favorite ways to repurpose old chairs! 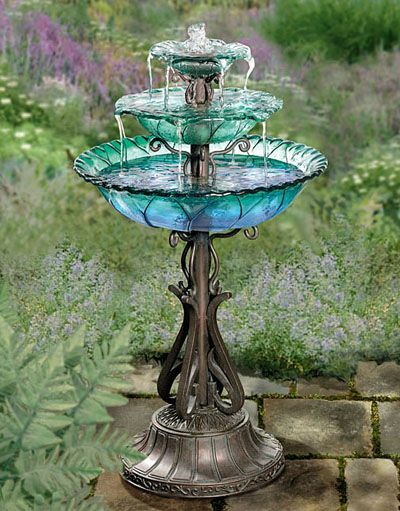 Do you think you could give a whole lot of detail/instructions on the blue Glas three tier fountain…?? Hey Anna, I found this image on another inspirational site, I checked to see if there was a tutorial for you but no such luck 🙁 It is beautiful for sure! Lamps come in so many great shapes and sizes, the possibilities are endless. I especially love the bird bath idea. 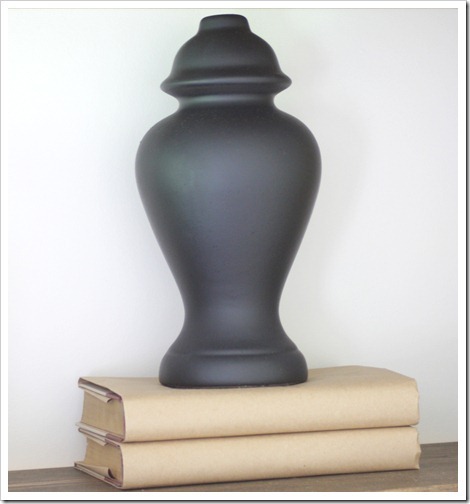 Hitting good will or consignment shops is a great place to get lamps that are unique and cheap! Great ideas! Nice collection of repurpose lamps and these become my favorite. I would love to add these lamps in my home. Thanks for sharing.